Spin Master, Character World, Jazwares, VTech and more are on board to release new merchandise for the popular kids’ series in the U.S.
NORTH AMERICA: Entertainment One (eOne) is growing the U.S. licensing program for its hit preschool brand Peppa Pig, with an assortment of new products from newly appointed licensees and current partners hitting retail shelves nationwide in 2018! 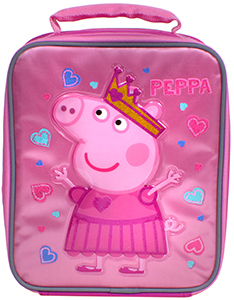 Existing partners that will be expanding their lines and releasing new product lines for Peppa Pig include: Accessory Innovations for back-to-school products including backpacks and lunch bags; Accutime for digital watches; Baby Boom for a branded toddler bedding set and coordinating room décor; Character World, in partnership with Franco Manufacturing, for bedding and bath collections; Handcraft for underwear; and Spin Master for a flip-open sofa with a removable slipcover. 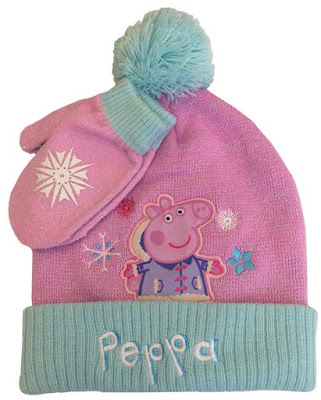 Meanwhile, new licensees for the brand include Berkshire Fashions for cold weather apparel items (pom-pom beanie and mittens, rainbow-striped baseball cap for toddlers) and Hamco (toddler bib collection, table toppers). The new Peppa Pig products will debut in the U.S. beginning this fall and throughout 2018. Expanded placement at mass and support from new channels continues to propel the licensing program for Entertainment One's (eOne) global preschool hit to new heights across North America. Now with more than 70 licensees and counting, the animated program is one of the top-ranked series on Nick Jr. in the US and popular among kids and families in Canada, where it airs on Treehouse TV. 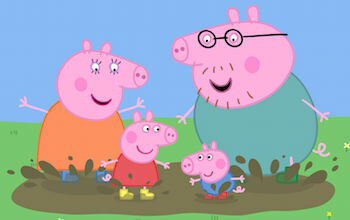 More Nick: Entertainment One Announces 117 Brand-New Episodes Of "Peppa Pig"! Follow NickALive! on Twitter, Tumblr, Google+, via RSS, on Instagram, and/or Facebook for the latest Nick Jr. USA and Peppa Pig News and Highlights! Entertainment One (eOne) continues to build on the success of Peppa Pig in Asia as the licensor has announced plans for the property in Japan. The multi award-winning animated show will be heading to TV screens in Japan when it debuts on TV Tokyo on Tuesday 10th October 2017, marking the latest rollout in the show’s push into Asia. U.K.-listed eOne owns the property after acquiring a controlling stake in its producer Astley Baker Davis in 2015 for £140 million ($188 million). In Asia the show is on Nick Jr. and Viacom’s Voot SVOD platform, and in China on CCTV and several streaming platforms including iQIYI, and Youku. eOne and its master licensee in the territory, SEGA Toys Co., is now readying the launch of a consumer products programme in Japan. The firm presented licensing opportunities to partners at a special brand presentation on Wednesday 27th September 2017, hosted by the British Ambassador to Japan at The British Embassy in Tokyo. Publishing is poised to spearhead the licensing programme in early 2018 led by publishing partner, Froebel-kan, which will publish two titles in early spring 2018. From March 2018 a number of toys and games licensees will launch at selected retailers before expanding to mass distribution by the end of 2018. These include Hanayama, to distribute Character Options’ award-winning global master toy line, Bandai for wooden toys and puzzles, Sega Toys for standard plush and Meteor APAC, the sole distributor for Ty in Japan, to distribute Ty’s Beanie Babies® range. Joining these partners, Nippon Columbia will distribute DVD’s starting from 2018. Peppa Pig now airs throughout Asia with licensing and merchandise programmes established in India, Hong Kong, mainland China, Korea, Singapore, Thailand, the Philippines and Taiwan. The property launched in Vietnam and Mongolia in late 2017. Broadcast platforms include Viacom18's VOOT Kids and Nick Jr. India, as well as CCTV, iQiYi, Youku, Tencent and LeEco. Peppa has become a huge brand for younger viewers and also generates hundreds of millions of dollars in licensing and merchandising revenue. Sources: Toy World Magazine, Variety, License! Global, Toys 'n' Playthings. Follow NickALive! on Twitter, Tumblr, Google+, via RSS, on Instagram, and/or Facebook for the latest Nickelodeon and Peppa Pig News! The world’s first Peppa Pig theme park attraction, Peppa Pig World, is getting bigger and better as Paultons Park announces plans for a significant extension with fun new rides and facilities. Fans of the Entertainment One’s (eOne) hit TV series will be snorting with delight when the two new rides, The Queen’s Flying Coach Ride and Grampy Rabbit’s Sailing Club, are unveiled to the public on Wednesday May 16, 2018. 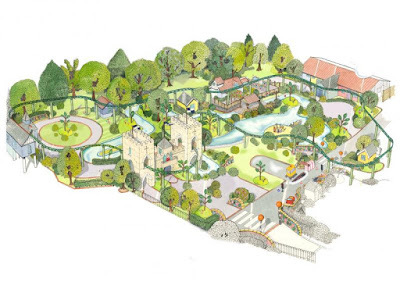 The Queen’s Flying Coach Ride will take families on a tour around part of Peppa Pig World in individual coaches starting from the top of a bespoke fairy-tale inspired castle, which will be a signature point of the attraction. 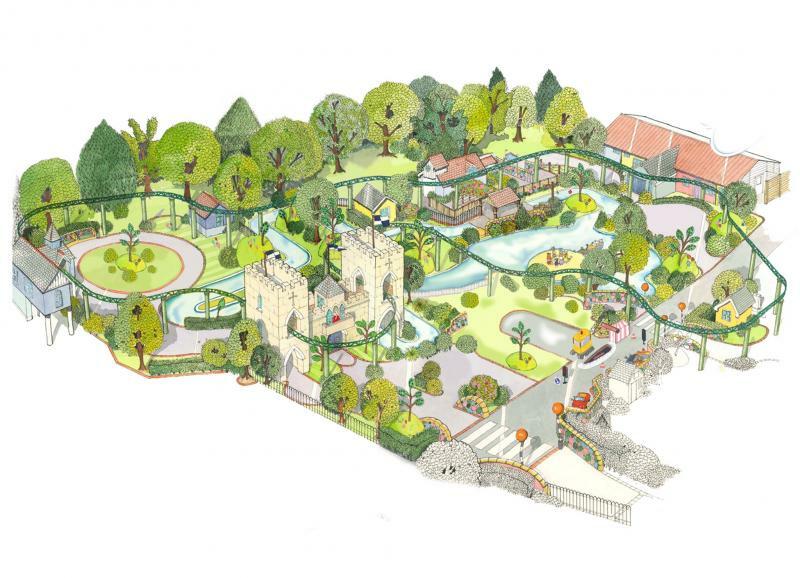 Children and parents will also be able to hop aboard boats at Grampy Rabbit’s Sailing Club where they can cruise along the new water route around Peppa Pig World and discover Pirate Island. With the addition of the two new rides there are now nine rides in total at Peppa pig World, as well as an indoor play area, water splash area, and the largest and only dedicated Peppa Pig shop in the world. There is also a chance for children to visit Peppa and her family in their hilltop house. The Queen’s Flying Coach Ride and Grampy Rabbit’s Sailing Club will be open to the public at Paultons Park – home of Peppa Pig World, from Wednesday May 16, 2018. For further information about Paultons Park including opening times and to book tickets online in advance, visit: www.paultonspark.co.uk . 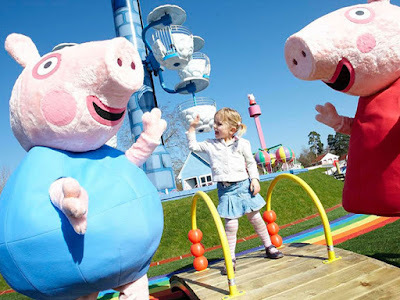 UK exclusive and world first, Peppa Pig World, is located at family theme park Paultons Park in Hampshire and opened in 2011. There are now nine rides including; Miss Rabbit’s Helicopter Flight, Peppa’s Big Balloon Ride, Grandpa Pig’s Little Train Ride, Grandpa Pig’s Boat Trip, Daddy Pig’s Car Ride, George’s Dinosaur Adventure, Windy Castle, The Queen’s Flying Coach Ride and Grampy Rabbit’s Sailing Club. Other attractions within Peppa Pig World include; George’s Spaceship Playzone, Mr Potato’s Playground and Muddy Puddles, a water splash park. Family-run theme park Paultons Park opened in 1983. The park covers 140 acres and has more than 70 rides and attractions including Jurassic-themed attraction Lost Kingdom, which saw the park have a record breaking year in terms of footfall when it opened in 2016. In June 2017 Paultons Park won TripAdvisor’s best-rated UK amusement park for the second year in a row. Paultons Park is the only park to have ever received this award two years running. 2017 tickets for adults and children one metre and over start from £27.25 when booked in advance online, and children less than one metre enter for free. Entertainment One’s robust network includes film and television studio The Mark Gordon Company; content creation venture Amblin Partners with Steven Spielberg, DreamWorks Studios, Participant Media, and Reliance Entertainment; newly-launched MAKEREADY with Brad Weston; leading feature film production and global sales company Sierra Pictures; unscripted television production company Renegade 83; world-class music labels Dualtone Music Group and Last Gang; and award-winning digital agency Secret Location. Watch Peppa Pig everyday on Nick Jr. and Milkshake! The preschool brand continues to be a powerhouse for eOne, with total retail sales of US$1.2 billion in fiscal 2017 (up from US$1.1 billion in 2016) and licensing and merchandising revenue of US$59.3 million. The strong performance was driven by growth in the US, where L&M revenue increased by more than 170%. Additional sources: Paultons Family Theme Park blog, License! Global, Kidscreen. Follow NickALive! on Twitter, Tumblr, Google+, via RSS, on Instagram, and/or Facebook for the latest Nickelodeon UK, Nick Jr. UK and Peppa Pig News and Highlights! Falls Creek’s exceptional season continues to sizzle with the announcement of an industry-leading partnership with the number one kids’ entertainment brand in Australia, Nickelodeon. In a Southern Hemisphere first, Nickelodeon has signed a two-year agreement as the official activation partner at Falls Creek, which will see the family favourite brand presenting special on-mountain experiences that will enhance the resort’s offering by integrating Nickelodeon character favourites. The partnership will launch during the September school holidays with an exclusive SpongeBob SquarePants event series running from 28 September to 3 October 2017. Nickelodeon’s PAW Patrol pups will then kick off the 2018 season by headlining a family-focused activation on the mountain in July with a schedule of activities on offer. Further extending the relationship with the alpine resort, Nickelodeon will also take over Falls Creek’s renowned children’s snow sports school across the sixteen week season in 2018. Already regarded as Australia’s best ski school for children, this collaboration will take the experience to the next level by showcasing character favourites including Teenage Mutant Ninja Turtles. “Families are at the heart of everything we do and Falls Creek is delighted to be partnering with Nickelodeon to lead the way with this unique on-mountain experience. With the incredible snowfall we’re enjoying this September, this activation provides yet another reason for families to visit these school holidays and we now have even more to look forward to for Winter 2018!” said Falls Creek Ski Lifts, General Manager, Sharon Raguse. Ben Cox, General Manager and Vice President of Nickelodeon Australia and New Zealand said, “Partnering with Australia’s family-favourite ski destination provides yet another exciting opportunity for families to interact with the Nickelodeon characters they know and love. Whether it’s on-air, online, in retail – or in this case – in the snow, Nickelodeon continues to connect with Australian families in new and exciting ways, and we’re delighted to bring this partnership to life with Falls Creek”. Owned by global attraction operator, Merlin Entertainments Group, Falls Creek is Victoria’s largest alpine resort and widely regarded as Australia’s most-loved family ski destination. Merlin Entertainments’ Divisional Director – Australia and New Zealand, Rob Smith, noted, “This collaboration with Nickelodeon, another global leader in the entertainment industry, is a very exciting milestone for Merlin Entertainments. Falls Creek is one of our most popular family attractions in Australia and our investment in this partnership confirms our ongoing commitment to delivering unique and memorable experiences”. More Nick: Nickelodeon Australia and New Zealand Reveals Inaugural Kids’ Choice Sports Awards 2017! NOTE: This post contains several spoilers about upcoming story lines on Power Rangers Ninja Steel. Please click here to return to NickALive! 's homepage if you wish to avoid them. Power Rangers Ninja Steel’s finale is not set to air in the United States until December 2017, but international websites have begun to leak some of the major developments which will take place in the season’s final episode. Gulli, a French TV website, has posted detailed spoilers of the accounts which will take place in the show’s finale. And apparently, two new Power Rangers will debut – Dane (Mike Edward), the long lost father of Brody the Red Ranger (William Shewfelt), and Mick (Kelson Henderson), the team’s humble mentor. 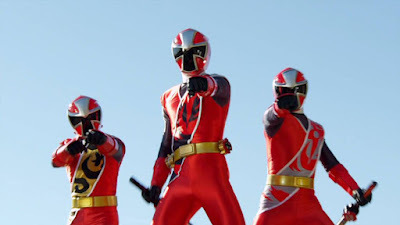 Both Dane and Mick will become Red Rangers, bringing a total of three Red Rangers to the team, as seen in the screenshot below from Shuriken Sentai Ninninger, the Japanese Sentai season fueling Power Rangers Ninja Steel’s English adaptation. "In the finale, Galvanax will use a powerful magnet designed by Victor and Monty to steal the Ninja Power Stars and give him final control over the entire universe. But as Galvanax’s evil plan inches towards success, Brody opts to destroy his own Ninja Power Star rather than let it fall into the hands of evil. The three Red Rangers are able to defeat Galvanax, with a little help from Madame Odius who betrays her evil master, and the world is saved…for now." Power Rangers Ninja Steel’s finale, which as of this writing still has no title, will adapt source footage from the finale of Shuriken Sentai Ninninger. This could mean that Dane and Mick will only become one-time Red Rangers, and won’t morph again after this episode. It could also indicate that Galvanax (Richard Simpson) will be killed off for good as the show transitions to Power Rangers Super Ninja Steel in 2018. Should that happen, who will take over the role of the show’s primary villain in Power Rangers Super Ninja Steel? While Madame Odius (Jacque Drew) is guaranteed to stick around, fans can click here to recap an earlier hint which may have been dropped. The Power Rangers stand outside of the school to fight Galvanax, but the villain uses a custom magnet to steal the Ninja Power Stars away from the Rangers, all except for Brody. While he manages to destroy the device, Galvanax and the Kudabots take off with the other 5 Rangers. Brody retreats alongside Mick. Cosmo Royale holds the kidnapped Rangers while Madame Odius reveals the device Victor and Monty created for her, a giant ship sized version of the magnet Galvanax used against the Rangers. Brody and Mick meet Galvanax once again at the quarry, where the villain has brought the other Rangers as bargaining chips for Brody's Ninja Power Star. Brody recalls a previous time when his father destroyed his Ninja Power Star to keep it out of Galvanax's hands, and Brody follows suit. He slashes and destroys the Red Ninja Power Star, but with an unexpected result. The Ninja Power Star's destruction causes the Ninja Nexus Prism to show up, and it contains the three pieces of Brody's Red Ninja Power Star. Suddenly those fragments shoot out and knock down Kudabots left and right, freeing the other Rangers. 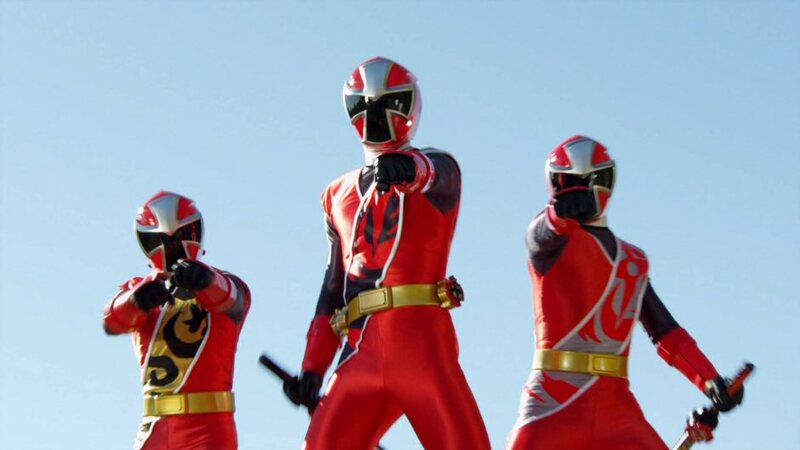 Those fragments then become three different Red Rangers, revealing themselves to be Brody, Mick, and Dane underneath. The Rangers unite to take on Galvanax, but the fight takes a turn when Galvanax turns his Zord Power Stars into liquid form and drinks it, becoming even more powerful. Meanwhile, Madame Odius activates her supersized magnet to bring the Ninja Steel Rangers to the ship, but because of the Zord Power Star liquid he drank, Galvanax is sucked up as well. It's revealed that the traitor was really Odius, not Ripcon, but Galvanax doesn't have much time to deal with the new revelation as the giant Ninja Steel asteroid rams into the ship's side, destroying it and breaking the magnet's hold. It is assumed that Cosmo Royale and Madame Odius were killed in the explosion, but Galvanax is still very much alive. The Rangers then turn their attention to Galvanax and finally succeed in bringing him down. The only problem is that the Ninja Nexus Prism was destroyed, and Mick informs the other Rangers that without a Prism, the Ninja Power Stars can't exist. 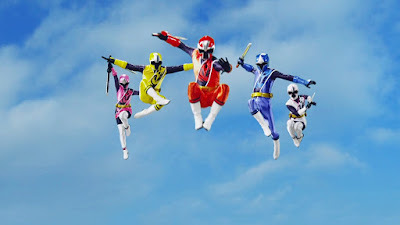 As the Ninja Power Stars dissolve in front of them, Mick assures the team all will be okay, as the Rangers succeeded in their ultimate mission. Mick departs to see his parents again, while the other Rangers sit around a campfire, singing the Romero family song. Things don't end there though, as a cutaway to space reveals that Madame Odius survived the spaceship explosion, and seems to be returning for Power Rangers Super Ninja Steel. No airdate for the finale (stateside) has been revealed, but you can find screenshots from the episode on Power Rangers NOW! For now, fans can also watch Power Rangers Ninja Steel every Saturday at 12pm ET/PT on Nickelodeon USA. Catch up with the latest season of Power Rangers, Power Rangers Ninja Steel, on nick.com/ninjasteel! More Power Rangers: Tickets For Power Morphicon 2018 Available Now! Original source: Power Rangers NOW; H/T: Christian News on Christian Today; Additional source: RangerWiki. TURN IT UP, Loud Crowd! The Loud House star Lincoln Loud will be answering YOUR questions, LIVE! Friday, October 6th at 4:30pm ET/1:30pm PST on the official Nickelodeon USA Facebook page, facebook.com/nickelodeon! What will you ask him? Let Nickelodeon Animation know on Instagram! More Nick: Nickelodeon USA To Premiere New The Loud House Halloween Special "Tricked!" On Friday, October 13th! Stan Lee’s L.A. Comic Con will turn the Main Stage over to the residents of Dimmsdale, California on Sunday, October 29th for the LARGEST-EVER cast reunion of Nickelodeon's long-running hit animated series The Fairly OddParents! Creator Butch Hartman will be signing all weekend (October 28-29) in his booth, as well as participating in a Q&A, and Tara Strong, the voice of Timmy Turner will be signing for fans all weekend long. Daran Norris ('Cosmo' and 'Dad'), Carlos Alazraqui ('Denzel Crocker'), Susanne Blakeslee ('Wanda' and 'Mom'), and Grey Delisle ('Vicky') will be signing for fans on Sunday, October 29th! And many, many more! A full guest list is available here on stanleeslacomiccon.com! Stan Lee’s L.A. Comic Con (formally Stan Lee's Comikaze Exp) is Los Angeles’ first and only large-scale multi-media pop culture convention, held annually at the Los Angeles Convention Center. L.A. Comic Con assembles the most exciting and innovative in comics, video games, sci-fi, fantasy, horror and all things pop-culture, making Stan Lee's L.A. Comic Con Los Angeles' ultimate pop-culture convention. This years Stan Lee’s L.A. Comic Con will take place between Friday, 27th-Sunday, 29th October 2017. Tickets to attend Stan Lee’s L.A. Comic Con 2017 are available to purchase on showclix.com! The convention offers free admittance to kids 12 and under. Full information about Stan Lee’s L.A. Comic Con 2017 can be found here on stanleeslacomiccon.com. More Nick: Nickelodeon To Host "Hey Arnold! : From Hillwood To The Jungle!" Panel At New York Comic Con 2017! Additional sources: Fairly Odd Parents Wiki, Wikipedia (I, II, III, IV, V, VI, VII), IMDb. Follow NickALive! on Twitter, Tumblr, Google+, via RSS, on Instagram, and/or Facebook for the latest Nickelodeon and Danny Phantom News and Highlights! #tbt the first appearance of Arnold's ear-to-ear grin in the #pilotepisode-- we use it a couple times in #thejunglemovie! Hey Arnold! The Jungle Movie takes the kids on the field trip of a lifetime: action packed and full of adventure! They’ll join Arnold on a quest in which he’ll try to achieve his ultimate dream and finally find his missing parents. It all starts when Arnold and his classmates take a trip to San Lorenzo, South America, which, coincidentally, is the last place Arnold’s parents were seen! Their trip takes a turn when pirates kidnap Arnold and his friends! From there it’s one jungle hazard after another, and the gang must put their heads together to get out of danger. As the leader of the journey, Arnold must make sure he and his friends survive safely, all while working towards a reunion he’s dreamt of his whole life! 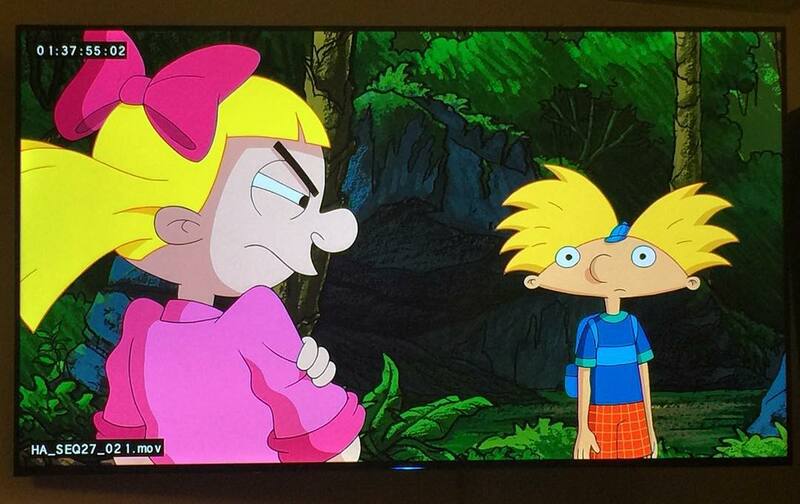 The two-hour TV movie features a storyline that picks up from where the original series ended in the "The Journal" in 2004 and resolves unanswered questions and plotlines-including Arnold finally getting answers about the whereabouts of his missing parents, Arnold's last name, and how Arnold feels about Helga! The movie is co-written and executive produced by the series’ original creator Craig Bartlett and produced by Nickelodeon in Burbank, Calif.
Hey Arnold! The Jungle Movie is slated to premiere on Nickelodeon USA on Thursday 23rd November 2017, as part of the networks Thanksgiving celebrations. Online at nick.com/heyarnold, fans can find out more about the movie and watch exclusive video clips from the film. Leading up to the movie, Nickelodeon will host a special panel titled “Hey Arnold! : From Hillwood to the Jungle!” at New York Comic Con 2017 that will feature creator Craig Bartlett and voice actors from the original series, including Lane Toran (Arnold), Francesca Marie Smith (Helga), Anndi McAfee (Phoebe) and Olivia Hack (Rhonda), as well as a exclusive sneak peek at the TV movie. The panel will take place on Friday, October 6th at 12:15 PM in the Hammerstein Ballroom (311 W 34th St). Nickelodeon will also release the first trailer for Hey Arnold! : The Jungle Movie at NYCC 2017! More Nick: JET PACKWELL: SPACE AVENGER | Cartoon Pilot | Butch Hartman! In a countdown so sinister it should be a crime, this is the rottenest ranking of the un-friendliest foes SpongeBob has ever encountered. From bullies to supervillains, just who really is the baddest bad guy in Bikini Bottom? Catch more SpongeBob SquarePants on Nickelodeon! 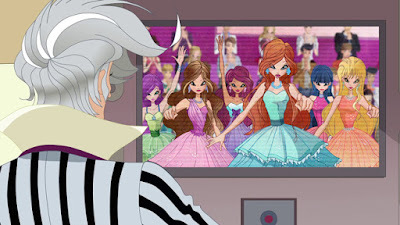 More Regal Academy: Regal Academy ! Season 1 Episode 13 ! The Grand Ball [FULL EPISODE]! More Nick: Rainbow Announces "Regal Academy" Season Two; Showcases Second Season At MIPTV 2017! ‘Breakfast in the Palace’ Sing-Along Music Video | Nella the Princess Knight | Nick Jr.
Nella and her royal family know how to start the morning off right… with the most important meal of the day and a catchy song! Sing-along with Nella and her family in Latin American Spanish Castilian Spanish, and Portuguese as they get ready for a healthy and balanced breakfast in the palace! Watch Nella the Princess Knight on Nickelodeon and Nick Jr.! You can find more Nella the Princess Knight music video collections and preschool songs on your local Nick Jr. site: nickjr.tv! Follow NickALive! on Twitter, Tumblr, Google+, via RSS, on Instagram, and/or Facebook for the latest Nickelodeon Preschool and Nick Jr. News and Highlights! More Nick: Tom Kenny And The High Seas Perform "The Best Day Ever" At Nickapalooza 2017! Carson Rowland, who plays Cole Reyes in I Am Frankie, is pun-stoppable. Don’t believe me? Check it out! Catch more I Am Frankie on Nickelodeon! More Nick: Nickelodeon USA Premieres "Escape From Mr. Lemoncello’s Library", Original TV Movie Based On Best-Selling Book, Monday, Oct. 9, At 7:00 P.M. (ET/PT)! Which member of Echosmith is most likely to... wake up late? Watch and find out! More Nick: Nickelodeon USA's October 2017 Premiere Highlights | Halloween | Nick Or Treat! Learn how to make a Magic Carpet perfect for the genie duo out of toast! Watch Shimmer and Shine everyday on Nick Jr.! For more awesome Nick Jr. activities and games visit NickJr.co.uk! More Nick: October 2017 on Nickelodeon UK, Nicktoons UK and Nick Jr. UK! Follow NickALive! on Twitter, Tumblr, Google+, via RSS, on Instagram, and/or Facebook for the latest Nickelodeon Preschool, Nick Jr. UK and Shimmer and Shine News and Highlights! Lincoln and Lana attempt to save a group of frogs from an unfortunate end, but thing start to heat up when the teacher notices in this hilarious video clip from The Loud House episode "Frog Wild"! Play the brand-new Loud House multiplayer game Living Loud: Lincoln’s List at nicktoons.co.uk/livingloud! More Nick: Nickelodeon UK's October 2017 Highlights! Follow NickALive! on Twitter, Tumblr, Google+, via RSS, on Instagram, and/or Facebook for all the latest Nickelodeon UK, NickToons UK and The Loud House News and Highlights! Kuu Kuu Harajuku | Concerts Without Fans! HJ5 are pioneering a whole new trend in live musical entertainment. Es kann nur eine Pizza geben! Scene from SpongeBob SquarePants episode "Pizza Delivery". Mehr Nick: Nicktoons Germany To Premiere "Mysticons" On Monday 9th October 2017! Κάθε Σάββατο και Κυριακή στις 15:30! Περισσότερα Nick: Nickelodeon Greece To Premiere "World Of Winx" On Saturday 30th September 2017! Follow NickALive! on Twitter, Tumblr, Google+, via RSS, on Instagram, and/or Facebook for the latest Nickelodeon Greece and Cool Factor News and Highlights! Le choc des mondes, le marathon événement, c'est samedi 7 octobre à 10h10 sur NICKELODEON FRANCE! Retrouve les Tortues Ninja sur NICKELODEON ! Plus Nickelodeon: Shimmer & Shine | Épisodes inédits à partir du lundi 16 octobre | NICKELODEON JUNIOR! Follow NickALive! on Twitter, Tumblr, Google+, via RSS, on Instagram, and/or Facebook for all the latest Nickelodeon Junior France and Shimmer and Shine News and Highlights! Seja bem-vindo à ilha de Papaya! Um lugar isolado do mundo e cheio de tradições esquisitas, onde cada criança recebe um boizinho para ser seu melhor amigo e cuidador. Não perca a estreia nessa segunda, às 11h! Mais Nick: Nickelodeon Brazil Announces "Meus Prêmios Nick 2017" Nominations! Follow NickALive! on Twitter, Tumblr, Google+, via RSS, on Instagram, and/or Facebook for the latest Nickelodeon Brazil and Papaya Bull News and Highlights! ¿Quieres conocer más sobre Kally, la prodigio de la música clásica que AMA el pop y cambiará el Conservatorio Allegro? Más Nick: Nickelodeon Latin America To Premiere "Mysticons" On Saturday 7th October 2017! Follow NickALive! on Twitter, Tumblr, Google+, via RSS, on Instagram, and/or Facebook for the latest Nickelodeon Latin America and Kally´s Mashup News and Highlights! PAW Patrol Live! “Race to the Rescue” based on hit preschool series PAW Patrol, which airs on Nickelodeon and is produced by Spin Master Entertainment, will visit Community Center Theater in Sacramento, California on Sept. 30 and Oct. 1, 2017! PAW Patrol Live!, presented by Pedigree, brings everybody’s favorite pups to the stage for an action-packed, high-energy, musical adventure. When Mayor Goodway goes missing during the day of The Great Adventure Bay Race, the pups come to the rescue. Join Ryder, Chase, Marshall, Rocky, Rubble, Zuma, Skye and Everest when they visit Sacramento. Tickets for all five performances are on sale now and can be purchased at www.tickets.com or by phone at 916-808-5181 or 800-225-2277. Featuring a cast of everybody's favorite PAW Patrol characters and presented by VStar Entertainment Group and Nickelodeon, PAW Patrol Live! "Race to the Rescue" shows that "no job is too big, no pup is too small," and shares lessons for all ages about citizenship, social skills and problem-solving as the characters each use their unique skills and teamwork. 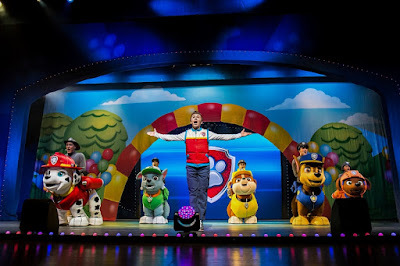 The show includes two acts and an intermission, and incorporates an innovative costume approach that brings the pups to life on stage with their vehicles and packs during the all-important rescue mission. The performance features up-tempo music and a cleverly written script, a good introduction to live theater for young children. Classic theatrical scenery along with a high-tech video wall visually transports families to popular locations from the TV series, like Adventure Bay, The Lookout, Seal Island, Farmer Yumi's Farm and Jake's Mountain. During the show, guests have the opportunity to participate in the adventure and become a part of the PAW Patrol Cheer Team. Nickelodeon's brand-new original movie Escape from Mr. Lemoncello’s Library is a hilarious adventure in a magical library. 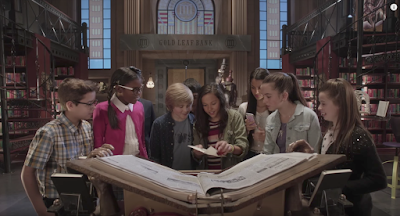 Based on a book by Chris Grabenstein, the film follows a group of kids who are selected to test out board game-maker Mr. Lemoncello's newest creation, a magical library. Kyle Keeley (Casey Simpson), Akimi (Breanna Yde), Sierra (Klarke Pipkin), and Peckleman (A.J. Rivera) have to use their wits to escape from an incredible state-of-the-art library designed by Mr. Lemoncello himself. It's like the ultimate escape room. Luckily, the kids know they have what it takes to solve the puzzle. The cast of Escape From Mr. Lemoncello's Library told J-14 at movies' premiere all about their characters and what it's like filming such an incredible movie. See it all unfold below! TORONTO, September 28, 2017 – Spin Master Corp. (TSX: TOY), a leading global children’s entertainment company, announced today an updated schedule for the remaining stops of its third annual PAW Patrol Roll Patrol Road Tour, a multi-city, life-size activation that successfully blends the award-winning toy line with the top-rated preschool property produced by Spin Master Entertainment and broadcast on Nickelodeon. The PAW Patrol Roll Patrol Road Tour will continue to travel across North America through October, allowing kids to connect with their favorite PAW Patrol characters through an immersive PAW Patrol-branded experience. The updated schedule includes new information on metro area stops in and around Atlanta, Miami, Houston and Los Angeles. The PAW Patrol Roll Patrol Tour is free to the public and is making stops at select Walmart, Toys“R”Us and Target retail locations in 13 different markets. 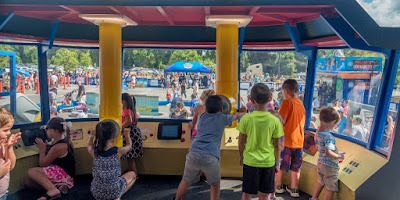 During full activations, kids can explore the inside of the life-size PAW Patroller and meet their favorite PAW Patrol characters, as well as re-enact their own rescue missions through an interactive play experience featuring the new Sea Patrol theme. Visitors can also receive a memorable photo and limited edition giveaways. Friday Tour stops are partial activations with character photo opportunities and play tables only. The life-size activation also has a dedicated area showcasing Spin Master’s newest entertainment property, Rusty Rivets. Kids can combine, design and “rustify” inside Rusty’s life-size Rivet Lab and meet the heroes from the show – Rusty and Ruby. Alongside Rusty Rivets, kids can play with the squeezable sand you can’t put down, Kinetic Sand. *All Roll Patrol Tour stops subject to change. Visit www.pawpatrol.com/tour for the most up-to-date schedule. Produced by Spin Master Entertainment, PAW Patrol is a CG-animated, action-adventure preschool series starring a pack of eight heroic puppies led by a tech-savvy 10-year-old boy named Ryder. The series’ unique blend of problem-solving skills, cool vehicles and cute doggy humor has propelled it to become TV’s number-one preschool series. PAW Patrol made its U.S. debut on Nickelodeon in August 2013 and has been picked up for a fifth season during which the heroic pack of pups – Chase, Marshall, Rubble, Skye, Rocky, Zuma, Everest and Tracker – will take to the high seas for Sea Patrol adventures where they’ll meet a scallywag of a pirate and his dachshund pup pal. Elements of the fifth season will be incorporated heavily throughout the 2017 PAW Patrol Roll Patrol Road Tour, including an immersive Sea Patrol experience, a Roll Patrol themed track, consumer-generated photo opportunities, character appearances, a Lookout Tower and HQ experience, interactive displays, a product play area and much more. Pre-registration is highly encouraged and walk-ups are more than welcome, but admittance cannot be guaranteed due to the growing popularity of the Tour. In the event of weather, specific Tour elements may be moved indoors and event hours may be shortened. 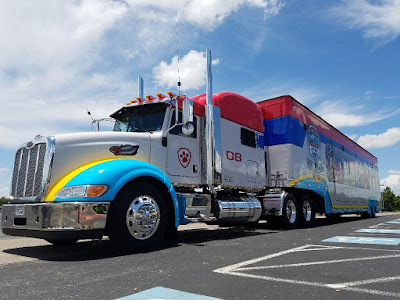 For additional information on the Tour and for free pre-registration, fans should visit www.pawpatrol.com/tour and follow the adventure using #RollPatrolTour. Spin Master (TSX:TOY; www.spinmaster.com) is a leading global children’s entertainment company that creates, designs, manufactures, licenses and markets a diversified portfolio of innovative toys, games, products and entertainment properties. Spin Master is best known for award-winning brands including Zoomer®, Bakugan®, Meccano®, and 2017 Toys of the Year, Hatchimals®, Air Hogs® and PAW Patrol®. Since 2005, Spin Master has received 82 TIA Toy of The Year (TOTY) nominations with 21 wins across a variety of product categories, including 13 TOTY nominations for Innovative Toy of the Year, more than any of its competitors. To date, Spin Master has produced six television series, including 2007 success Bakugan Battle Brawlers and current hit PAW Patrol, which is broadcast in over 160 countries and territories globally. Spin Master employs over 1,500 people globally with offices in Canada, United States, Mexico, France, Italy, United Kingdom, Slovakia, Poland, Germany, Sweden, the Netherlands, China, Hong Kong, Japan, Vietnam and Australia. More Nick: Nickelodeon and VStar Entertainment Group Announce PAW Patrol Live! "The Great Pirate Adventure"! 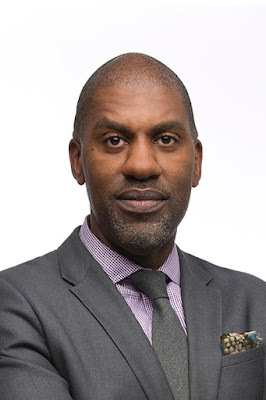 Nickelodeon veteran and TeenNick and Nicktoons Executive Vice President (EVP) Keith Dawkins has accepted a new job as Chief Executive Officer (CEO) of The First Tee, a nonprofit youth development org founded by the US Professional Golf Association (PGA). The kids network has confirmed that after Dawkins leaves next week, his role will be temporarily filled by NickSplat and Nick Sports Senior Vice President (SVP) of marketing Laura Lundgren. In his new job, which reflects Dawkins’ passion for sports and pro-social causes, Dawkins will succeed long-time topper Joe Louis Barrow, Jr., who had announced his retirement. Dawkins, a valued Nickelodeon executive, was promoted from SVP and GM (General Manger) of TeenNick and Nicktoons to EVP in late 2015, where he led operations for the tween- and teen-targeted networks. In his previous role as SVP and GM, he developed a number of partnerships with companies including Marvel Animation, FremantleMedia, Lionsgate, LEGO and the National Football League (NFL). The ex-Fox News Channel producer and VH1 exec joined Nickelodeon in 2003 as the first-ever GM of Nicktoons and went on to shape the TeenNick, Nick Jr. and NickMusic channels. He was also responsible for launching and overseeing TeenNick’s NickSplat (formally The Splat) and NickToon’s NickSports programming blocks. 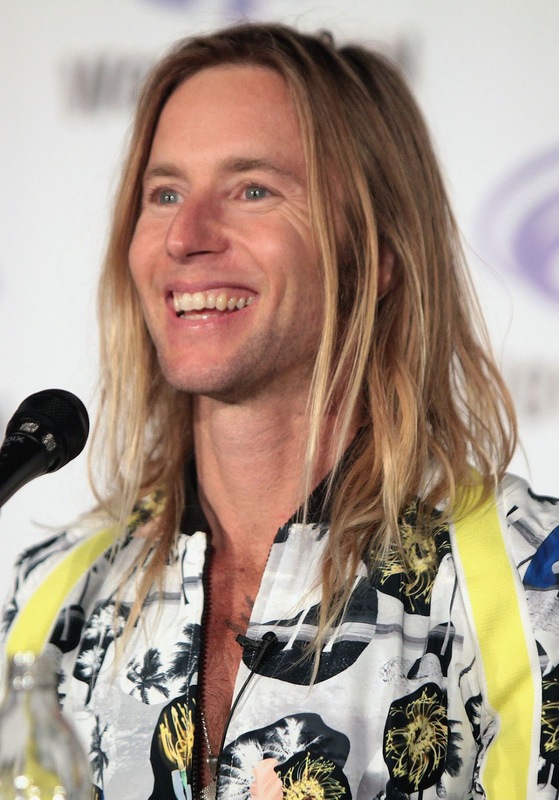 The Splat launched in September 2015 as a multi-screen content destination for Millennials that also includes seven social media platforms and a dedicated website featuring the most popular Nick content from the '90s and beyond. NickSports, meanwhile, is a primetime programming block that features original and acquired long- and short-form content from professional sports athletes and leagues like MLB, MLS, NASCAR, NFL and PGA. Dawkins’ departure comes amid a brand and ratings resurgence for Nickelodeon, which notched nine straight quarters as the leading kidsnet with kids ages two to 11 and two to five, as well as four straight quarters on top with kids ages six to 11, according to Nielsen ratings. NickALive! would like to wish Keith all the best on all his future endeavours. Nickelodeon Greece will start to premiere and show World of Winx, a brand-new animated series inspired by the globally successful Winx Club franchise, every Saturday and Sunday at 13:30 from Saturday 30th September 2017! 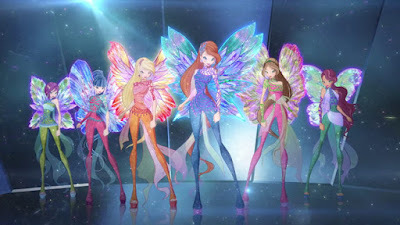 Locally titled Ο κόσμος των Winx, World of Winx sees Bloom, Stella, Flora, Musa, Tecna and Aisha from Winx Club return to Gardenia, Bloom's hometown on Earth, to act as scouts for talent show WOW! and search the globe for talented kids. But all is not as it seems, as they soon uncover the evil activity of the Talent Thief – a mysterious and despicable villain who is capturing gifted children - who they must stop without revealing their magical powers! Online at nickelodeon.gr, fans can find out more about World of Winx and watch videos from the series. 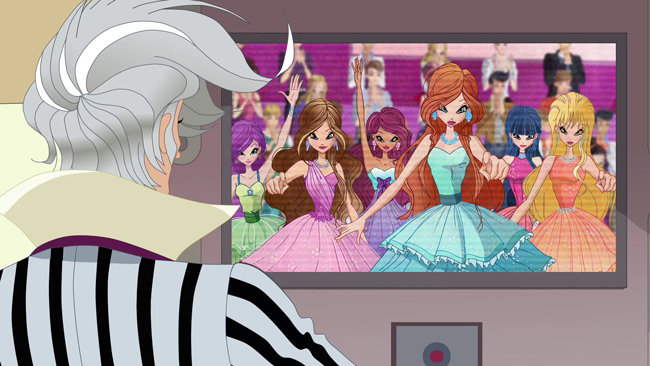 World of Winx is created by Iginio Straffi and produced by Italian animation studio Rainbow. The series launched globally on Netflix in November 2016. 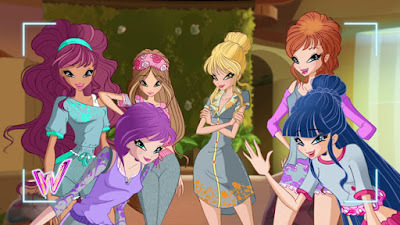 B-rights, one of the leading licensing agencies in Greece, which represents Winx Club and Regal Academy in Greece will now also represent Maggie & Bianca Fashion Friends - which Nick Greece premiered earlier this month and World of Winx in the region. Nickelodeon Greece acquired the rights to World of Winx and Maggie & Bianca Fashion Friends in August 2017. Nickelodeon and Nelvana’s CG-Animated Fantasy Series Mysticons, Premieres Sunday 15th October 2017 on Nickelodeon Россия! A mythic quest to save the world unfolds in Nickelodeon’s newest animated series, Mysticons, premiering Sunday 15th October 2017 on Nickelodeon Russia (Россия). Produced by Corus Entertainment’s premier animation company Nelvana, the half-hour action series rich in story and mythology follows four girls who transform into legendary warriors, Mysticons, who band together to save their realm from evil. The series is locally titled Мистиконы (Mistikony) in Russia. Click play below to listen to the Russian version of the Mysticons opening theme song! Премьера на Nickelodeon! Смотри новое шоу ""Мистиконы"" в эфире с 15 октября. Created and executive produced by Sean Jara (Johnny Test, Max Steel, Inspector Gadget), Mysticons is a contemporary urban fantasy series about four girls from different walks of life who are transformed into the legendary Mysticons. Arkayna, Zarya, Emerald, and Piper are drawn together by a prophecy to battle evil and protect the realm as unexpected heroes who work together to become epic warriors and ultimately, the closest of friends. The heroes team up as the stakes are raised when the evil Queen Necrafa is released from her prison and embarks on a mission to destroy them and their home, Drake City. In the series premiere, “Sisters in Arms” (#101), premiering Monday 9th October 2017, the legendary Dragon Disk brings together the four girls and bestows upon them magical powers. Then, in the second episode "How to Train a Mysticon" (#102), the new Mysticons are called to Astromancer Island to begin their training. The voice cast of the English-language dub of Mysticons includes: Alyson Court (The Big Comfy Couch) as “Arkayna Goodfey,” Drake City’s princess who is desperate to be a regular teen, while balancing being Mysticon Dragon Mage; Nicki Burke (Barbie: The Pearl Princess) as “Zarya Moonwolf,” a tough and fiercely protective street kid with roguish charm, known as Mysticon Ranger; Evany Rosen (Hotel Transylvania: The Series) as “Emerald Goldenbraid,” an innovative engineer and Arkayna’s best friend, known as Mysticon Knight; and Ana Sani (Mia and Me) as “Piper Willowbrook,” an optimistic and fun-loving street kid who doubles as Mysticon Striker. Online at nickelodeon.ru, fans can view exclusive videos from the series. Fans can also visit Mysticons.com, YouTube, Facebook, Twitter, and Instagram to learn more about Mysticons. Nelvana is Canada’s premier animation company and a world-leading producer and distributor of children’s content. Nelvana has delighted audiences around the globe for more than 40 years with a vast library of more than 4,000 episodes from original, award-winning series like Babar and Franklin. Nelvana’s content is distributed in more than 160 countries worldwide and broadcasts across Corus Entertainment’s suite of leading kids networks. Nelvana Enterprises, the global licensing and merchandising arm of Nelvana, manages the organization’s portfolio of in-house and third-party brands with offices in Toronto and Paris. Nelvana Studio, with offices in Toronto and Montreal, employs more than 300 Canadian artists working with local and international producers to create premium children’s content for a global stage. For more information, visit www.nelvana.com. Больше Nick: Nickelodeon Russia To Premiere "I Am Frankie" On Monday 2nd October 2017! Follow NickALive! on Twitter, Tumblr, Google+, via RSS, on Instagram, and/or Facebook for all the latest Nickelodeon Russia and Mysticons News and Highlights!